Taking care of your combination skin can be rather difficult; not only do you have to deal with your dry skin but you also have to care for your oily skin as well. It can become confusing if you suffer from problem skin as certain conditions including rosacea, dry skin, acne and inflamed skin can be seen as combination skin too. If you have combination skin then you are not alone, many people across the world also live with this skin type which can so often lead to skin problems if not fully understood and properly treated. 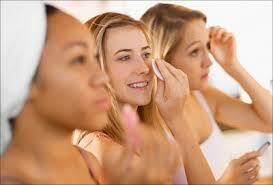 Generally with combination skin the oily part is found on your forehead, nose and chin which is known as the T-zone. Whereas your cheeks and jaw will be mainly dry. Choosing the correct skin care products and regime can be a chore because what may work for your dry area won’t work for your oily area. This is the biggest complaint for those living with combination skin. If you currently suffer from combination skin then you will definitely know how hard it is to treat, finding the correct balance with skin care is key if you want to be able to treat the condition effectively. Your oil glands are far more active around your forehead, nose and chin than any other part of your face. If you currently use a skin care product that treats your oily skin but you also use it on your dry areas then this can make the matter worse for you. You certainly don’t want to be using products that clog up your pores and cause further irritation. You may also be using skin care products that contain harmful ingredients, chemicals that will irritate your skin and create further problems for you. As with any good skin care products the ingredients that they contain should be kind to your skin, not harmful! You should look at the ingredients before purchasing any product and always try to opt for one that is natural or organic or both. Glycolic Acid and Salicylic Acid are two ingredients that you should be looking for especially if you suffer from acne combination skin. To help cut your acne breakouts you will need to treat both the oily area (T-zone) and the dry area differently. Using a daily cleansing gel is important, followed by a toner that will remove any excess dirt. For the oily areas use a light daily moisturizer that contains Salicylic Acid, and for your dry areas use a slightly more intensive daily moisturizer that will help keep your skin supple. You can even use masks and peels that are specifically designed for combination skin, always read the ingredients first and choose products that are fragrance free. It’s important that you avoid soaps, whatever the company that manufacturers the product claims because the majority of soaps contain ingredients that will dry out your skin further and clog your pores. These are not only bad for combination skin but they can also be harmful to people with normal skin, turning their once perfect skin into problem skin. When deciding on a skin toner, choose one that does not contain alcohol as this can cause sudden flare-ups on your combination skin. If your eye area is very dry then you should be investing in a good under eye serum that will help moisturize this area. Once you get a handle on the correct skin care products that are right for your combination skin you will start to see an amazing difference in the feel and appearance of your skin. You may only need to make a few adjustments to your skin care routine for it to look radiant and beautiful.